Home/Submitting your project/What projects qualify for consideration? Naturally, the projects and initiatives concerned are those that promote the welfare of seafarers mooring in the port of Rotterdam. The project could address a specific group, for example, seafarers who like to play sports or seafarers located in a specific area of the port such as the Botlekhaven. It is important for the projects to meet the needs of seafarers, for example the need for transportation within the port. Another key allocation criterion is whether the project is feasible. Is there a high degree of confidence that the project will be successfully completed? 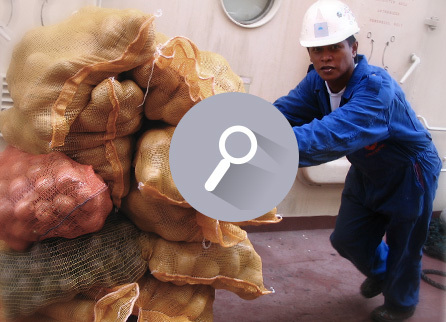 Less traditional or innovative initiatives and initiatives put forward by seafarers themselves have an edge. and do so in a concrete and practical sense. The project must involve an activity, one-off or recurring, with a clear start and end date. The proposal may be of a ‘starter support’ nature that facilitates a certain initiative (without having the Rotterdam Port Welfare Committee commit to a long-term obligation). If the request concerns the partial financing of a larger project, the budget for that project must be submitted. A condition of payment is that the budget is strictly adhered to. Commercial as well as non-commercial organisations can submit a request. The project must not concern the operational budget and the continuity of an organisation must not depend on this financing. The proposal may not make any distinction in terms of race, religion, colour, gender, sexual preference, age, personal beliefs or political leanings. The seafarers’ needs for the project’s deliverables are clear. The degree to which it is possible to ascertain the degree to which a project has met its objective. The originality of the project. A solid financial position of the requesting organisation. The project must not entail any long-term commitments that require renewed external financing.